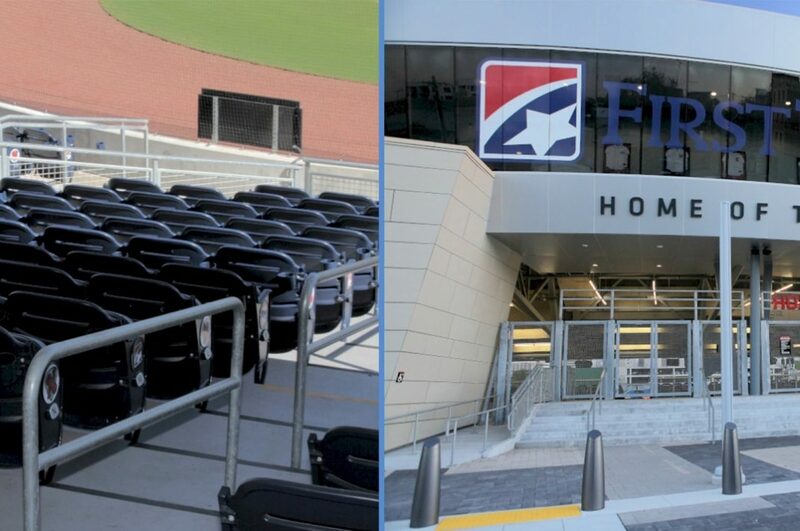 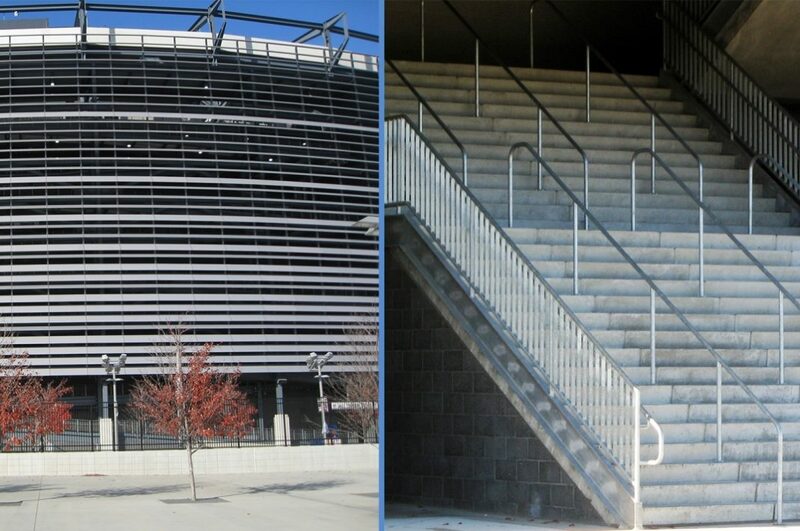 HOK Sports came to the decision to galvanize the Handrail after they determined that they liked the weathered look of the handrail. 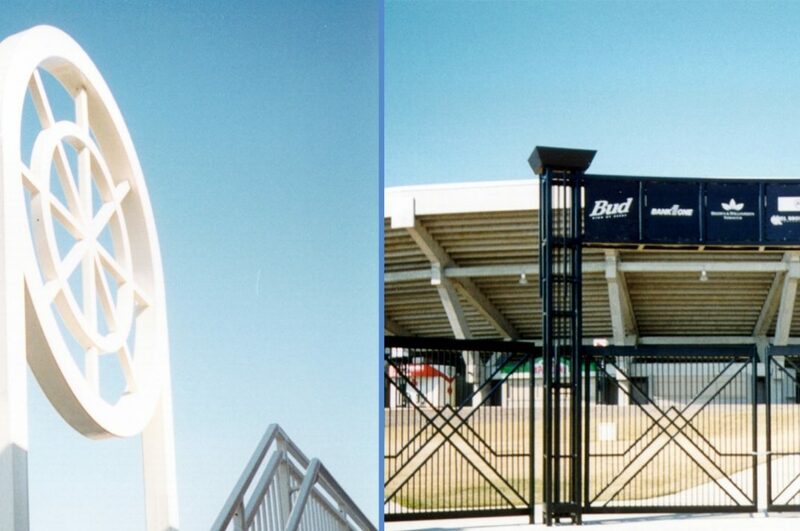 They thought that the hot dip galvanizing matched the color scheme that they were looking for as well as creating a good protection against elements. 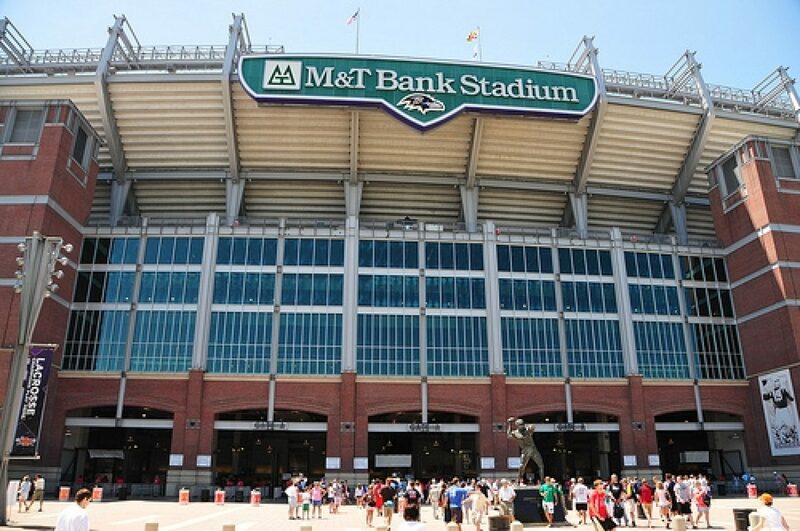 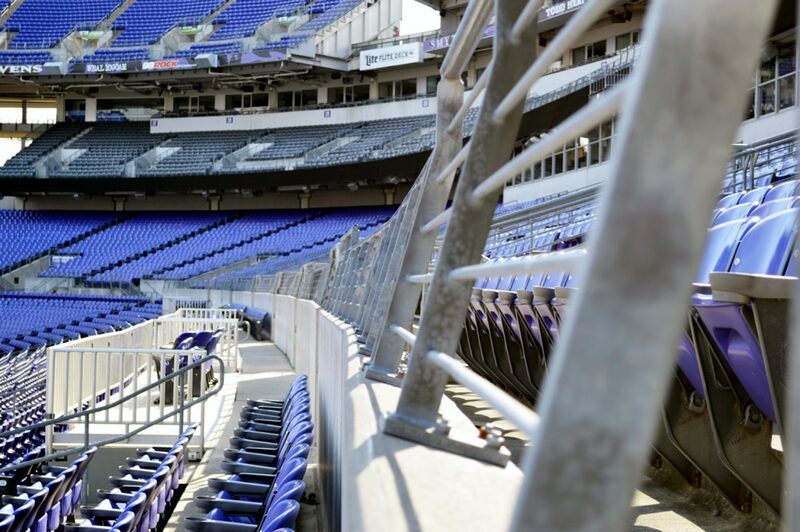 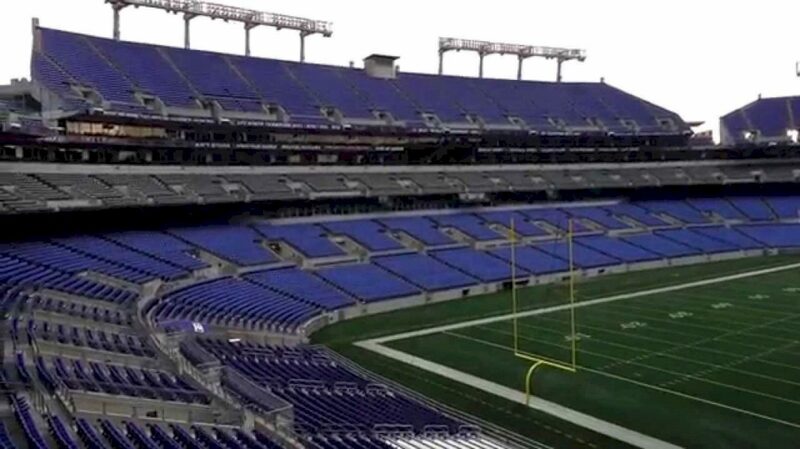 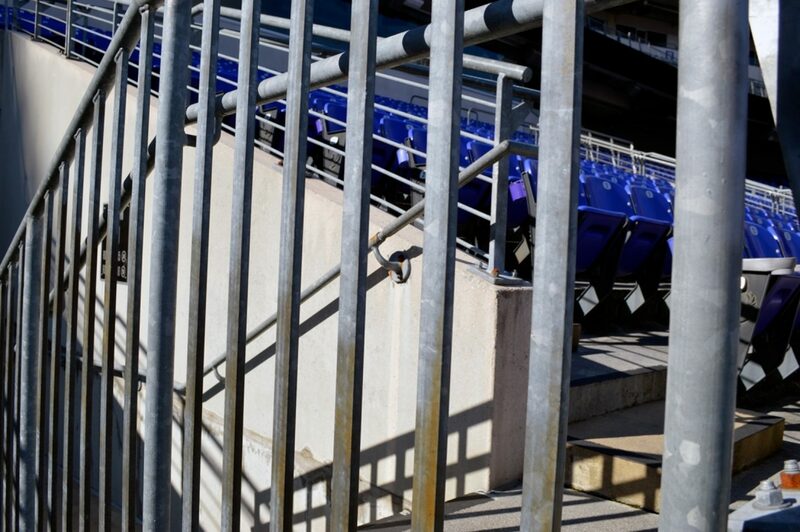 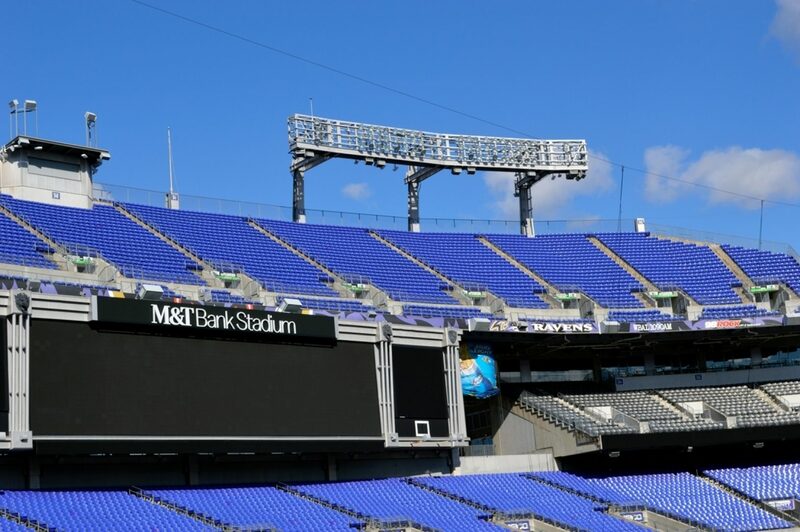 Everyone involved with stadium operations at M&T Bank Stadium is happy with the galvanized material and looks forward to many more years of zero maintenance. 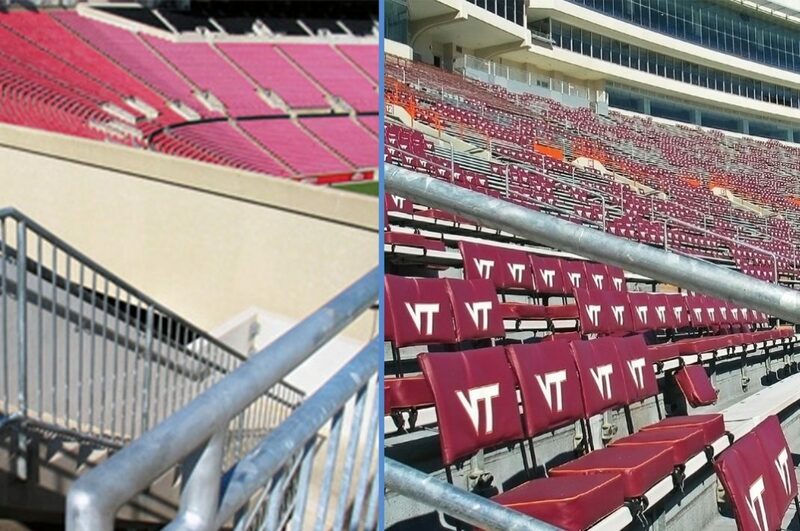 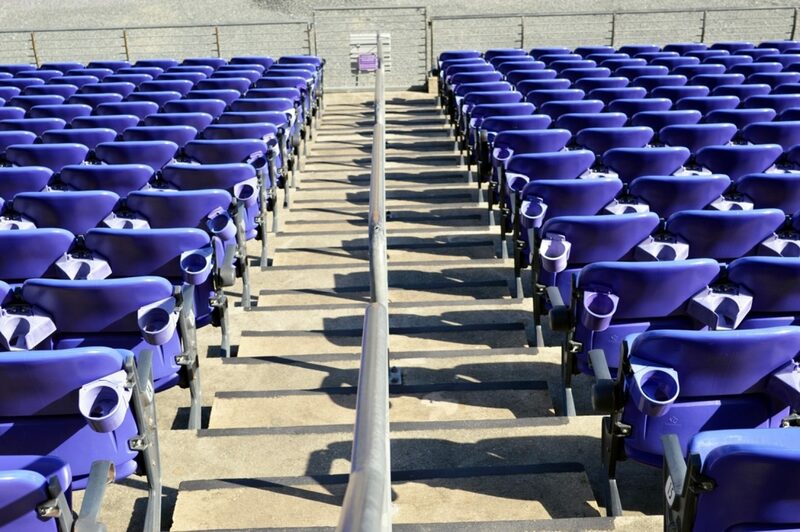 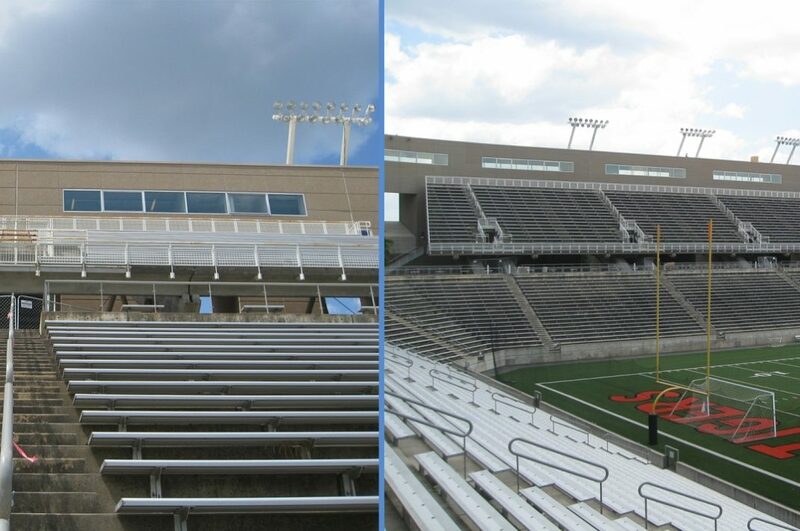 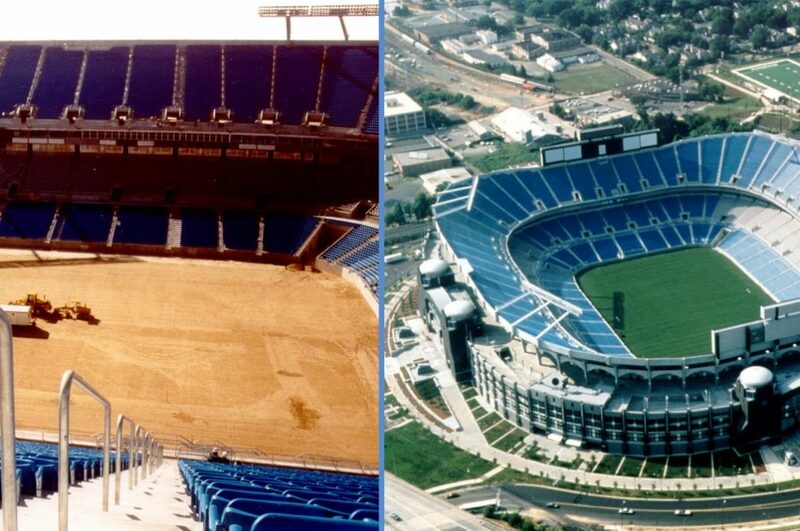 The money saved from not having to repaint 80,000 feet of handrail every couple years has the Ravens patting themselves on the back for choosing galvanizing over paint. 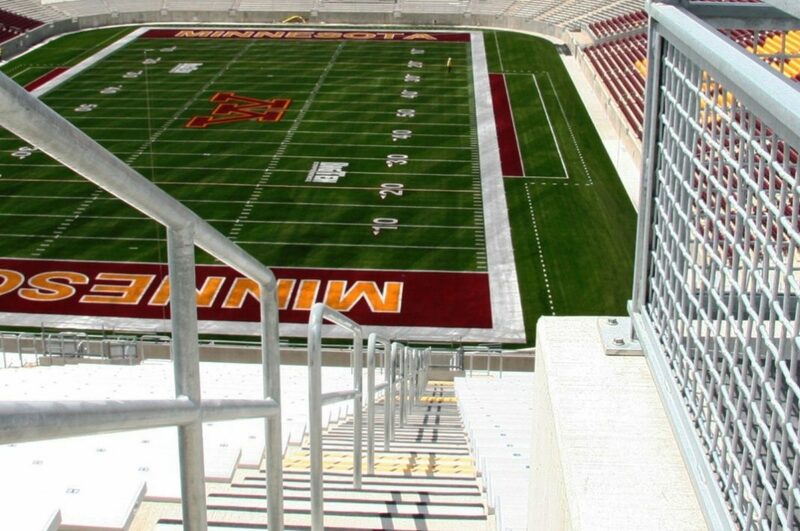 80,000 feet of handrail, numerous embeds and other Misc material.